BALTIMORE, MD (September 2016) – Thrive Tribe, a 1908 Brands company, has launched a line of paleo-friendly, nutrient dense, dairy-free snacks at Expo East in Baltimore. “It’s tough to find truly delicious snacks and cookies that are paleo and gluten-free, so we are proud and excited to bring Thrive Tribe to the growing paleo community.” Says Marketing Director Craig Spalding. “We love Thrive Tribe because the ingredients are clean but it tastes better than any other snack on the market.” Says Adam Thompson. “Best snack at the show!,” says Ben Arbib, both from Rebel Kitchen. The product line includes three varieties of Thrive Tribe snacks; nutrient dense paleo bites in eight flavors; sweet and savory coconut chips; and soft and chewy cookies. Thrive Tribe snacks are developed by a nutritionist for an on-the-go snack that fuels your day with clean ingredients. All products are grain-free, dairy-free, paleo-friendly, and free of soy and refined sugars. “We’re excited to have Thrive Tribe in the line-up of 1908 Brand products because we can bring our laser focus on excellent ingredients to the snack category.” CEO Steve Savage on why 1908 Brands is thrilled to launch Thrive Tribe. Thrive Tribe Snacks are part of the 1908 Brands family. 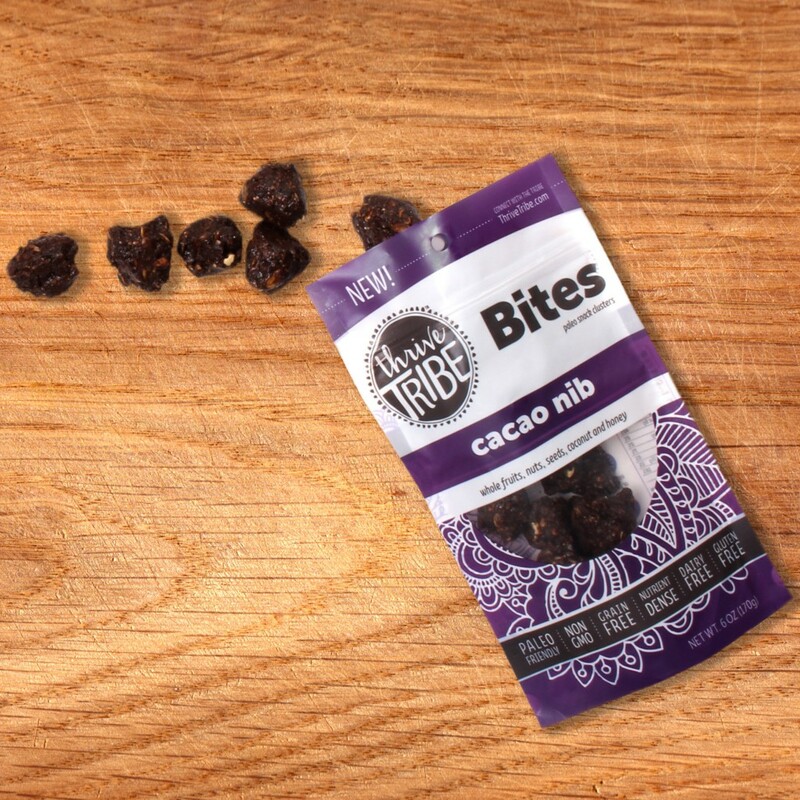 We made Thrive Tribe snacks to offer a seriously delicious treat for anyone on a Paleo, grain-free, gluten-free or good-for-you diet! When we formulated our cookies and clusters, we kicked out the grains, and replaced them with organic coconut chips, fruits, nuts and seeds. We sweetened them with pure honey. Then we added a hefty dose of superfoods like chia, hemp, cacao nibs and flax.